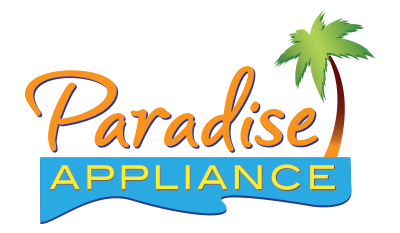 Overall, I had a very good service experience with Paradise Appliance. Our fridge essentially went out due to a Freon leak that we did not know about and we were directed to Paradise through our Extended Warranty program with KitchenAid. The phone call and appointment service set-up was very professional and easy. I was disappointed that we could not get a technician to come out for two days, however--a long time to go without a fridge and scramble to keep the food we had! I would like to see this company hire additional technicians to meet the needs of customers who are in more of an urgent situation or come up with novel solutions (such as providing a temporary small fridge) to bridge the gap between the service calls. Our service technician Enrique was on time and called ahead as expected. He worked diligently and was very communicative and courteous. Unfortunately, we were told we had to wait an additional 4 business days (plus the weekend) for the parts to come in! Again, my biggest disappointment would be with these delays to service/repair. It would be nice if there was a way that essential refrigerator parts were more readily available so customers did not lose additional money on food loss, or buying/borrowing coolers and ice (like we did), to try to salvage what we could and have food on hand for those 4+ days. Also, I was not happy that we could not at least have an appointment time scheduled around our availability. Maybe this is how it is for all appliance repair companies, but we could not even request to have a morning window or an afternoon window; we were told we had to keep the whole work day open from 8 AM until 4 PM and would not find out the 2-3 hour service window until the evening before. This is hard on anyone but especially for those working outside the home with children. Still, I would recommend Paradise Appliance and use them again. My repair tech was very informative to what the problem was, assured me he can handle it and get fixed. Timeline was good, repair tech cleaned up after himself. I am under a service contract. It took lo long for a repair person to come to my home for each (3) visit. The problem was not known by repair person which cause additional visits. The first person told me what he thought I wanted to hear and the last person who actual did the repair spoke to me as if I would not understand and it would take too long and he needed to be at another job. I was given a 3 hour window to wait on repair person. Over-priced service visit; inaccurate repair diagnosis that would have cost more than a new appliance. Had dryer repaired for less than the Paradise service charge. My washing machine was fixed and the repairman took his time and was respectful. Great Service! Chris was awesome and very knowledgeable!! The service provided by Paradise Appliance was very good. Three service person was very efficent and fast. Very pleased. Very easy to set up appointment. Repairman was efficient and did an excellent job. Great service by your technician! No problem which I like. Efficient. knowledgeable, helpful, and friendly service. DISHWASHER KITCHENAID KUDS01FLSS5 Customer complaint arm broken : found broken arm replaced it run diagnose test all components tested ok to manufactory specifics. DISHWASHER WHIRLPOOL WDT720PADM2 "Not working at all, dead unit, need control board and console, estimate of was declined parts W10854231 AND W10838676"
REFRIGERATOR WHIRLPOOL WRX735SDHZ01 "Ice or water not dispensing, replaced the ,main control board and filter housing cove tha was broken...; used 2 WPW10221048 (SPACER) from stock"
REFRIGERATOR WHIRLPOOL WRX735SDHZ01 "Not dispensing ice or water, ordering control boards and filter cover. ; ordrng 1 w11043763 (main pcb) and 1 w11265135 (UI) and 1 wp67006331 (cover)"
REFRIGERATOR AMANA AFI2538AES3 "Ice maker is working fine, dispenser was not working, repaired and tested, dispenser working normal now..."
REFRIGERATOR KITCHENAID KSC24C8EYY02 "Not freezing, all freon was lost, replaced comprerssor and evaporator coil, called for extra labor usung #kjkev00nl2..."
REFRIGERATOR KITCHENAID n/a "Not cooling at all, found low on freon, ordering compressor and ff evaporator coil..; ordrng 1 W10309988 (compressor) and 1 WPW10643261 (evaporator)"
RANGE WHIRLPOOL WFG515S0ES1 "cust complant is that left front burner takes longer to ign. tech removed burner head and pushed ign up,also made sure burner cap was getting good connection, tested and all test good"
DISHWASHER KITCHENAID KUDS01FLSS5 Customer complaint broken upper arm: replaced parts run diagnose test all componenst tested ok to manufactory specifics. REFRIGERATOR WHIRLPOOL WRS325SDHZ00 "Frost build up top of freezer door, sealed gap on top of freezer door inner lining and adjusted door gasket, also resealed gaps on refrigerator side door perimiter." DISHWASHER KITCHENAID KUDS01FLSS5 "Several parts are broken, ordering parts listed; ordrng 1 WP8559850 (tube) and 1 8193504 (upper arm) and 2 WP3400920 (screw)s and 1 WP8268321 (upper support) and 1 WPW10323423 (tube) and 1 WP8535086 (arm) and 1 WP8535086 (screw) and 1 WP8268433 (seal)"
REFRIGERATOR WHIRLPOOL WRT518SZFM00 "Not cooling, found air ducts pluged up with ice, removed all frost and sealed air gaps...; used 1 adhesive, 1 W10841140 (ADHESIVE), and 1 WP482338 (ADHESIVE) from stock"
REFRIGERATOR WHIRLPOOL KSCS25INSS00 "found refer section door not closing.due to faughty hinge, part could not be located. boll for service call"
WASHER MAYTAG MVWC565FW1 "Customer complaint not moving from wash : found error code f8e1 long fill or not fill , checked hoses found drain hose to deep into drain pipe pull it out also instruc customer of hot water if off customer state she only use tap cold"
WASHER AMANA NTW4516FW1 Replaced the actuator and fill valve tested operation and recalibrated the washer. WASHER WHIRLPOOL WTW5000DW2 author for double labor## wiymz00ml2Customer complaint leaking oil: found bad gearcase leaking oil replaced parts run diagnose test all components tested ok to manufactory specifics. DRYER-GAS WHIRLPOOL n/a "Customer complaint gas andsteam: run diagnose test move dryer away from wall , checked gas flame and vent all componenst tested ok to manufactory specifics." DRYER-GAS MAYTAG MGDC465HW0 customer complaint not running found bad door switch replaced it run diagnose test dryer run and heat all componenst tested ok to manufactory specifics. WASHER MAYTAG MVWB765FW1 "replaced broken agitator, all test good"
WASHER WHIRLPOOL WTW5000DW2 "Customer complaint noisy: found machine with error code out of balance , bad floor machine shaking a lot info customer of weak floor , calibrate washer all components tested ok to manufactory specifics"
REFRIGERATOR WHIRLPOOL WRX988SIBM03 "Not cooling in tghe refrigerator compartment, found ff not auto defrosting, replaced the main control board and fan motor defrosted haed ice on ff evaporator, using #IJGCIJEPL1"
REFRIGERATOR WHIRLPOOL WRX735SDBE00 Replaced the ice maker and cycle tested. REFRIGERATOR WHIRLPOOL WRT111SFDM04 "Frost build up in freezer, per customer, doors were revesed by delivery person,Ifound doors not proberly reinstalled, adjusted doors and gasketd, removed all frost." REFRIGERATOR WHIRLPOOL WRX735SDBM03 "No ice, water leaking, frost build up, replaced the water valve and water line to ice maker that was leaking, water pressure still low from source, customer need a plumber, removed frost from freezer and adjusted door." REFRIGERATOR WHIRLPOOL WRX988SIBM03 "Not coolong in the refrigerator section, ordering main pcb and fan motor with thermistor, wants asap using auto #WIJGCIJEPL1; ordrng 1 W10843055 (main pcb) and 1 W11087438 (fan motor) and 1 WPW10389152 (support)"
WASHER MAYTAG MVWB765FW2 Replaced the gearcase tested and recalibrated the washer. REFRIGERATOR WHIRLPOOL WRS325SDHZ00 Freezer temp 1.5f refrigerator temp 38f. Ice is building up on top of te freezer door dyke. Called the tech line spoke with Kathy. she instructed me to seal rear of cabinet where ice maker water line penetrates the cabinet and the heat exchanger. RANGE WHIRLPOOL WFG320M0BS3 Replaced the ouyter oven door glass.